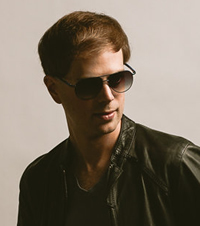 Nashville, Tenn. – An upcoming concert at Temple Baptist Church in Dalton, Georgia marks the return of Scott MacIntyre to the stage following the pianist/singer’s second kidney transplant in June. MacIntyre will share his music and story on September 13 as part of the church’s Homecoming Celebration. The entertainer is resuming touring in support of his current radio single, “Remarkable,” which debuted at No. 1 on the Christian Radio Chart. In September of last year, doctors told MacIntyre he had approximately six months until he would need another kidney transplant. The singer had previously had a kidney transplant in 2007, prior to auditioning for American Idol. When an anonymous kidney donor stepped forward earlier this year, MacIntyre and his wife were overwhelmed with gratitude. On June 4, MacIntyre underwent his second kidney transplant at Vanderbilt Medical Center, still unaware of who was saving his life. Six weeks later, he met the donor after a weekly post-op checkup. In addition to resuming his music career, MacIntyre continues to co-host the new iTunes podcast 2 Blind Men with music industry colleague Mark Dowdy. The show features inspirational guests from all disciplines and walks of life and posts a new episode the first Monday of every month. Guests have included Christian Music Hall of Fame inductee, Babbie Mason, and Muppets and Disney songwriter, Dave Kinnoin, among others.